Campus Life facilities consist of the Fisher Student Center, the Warwick Center, the Fisher University Union, the Burney Center, and the University Commons area. 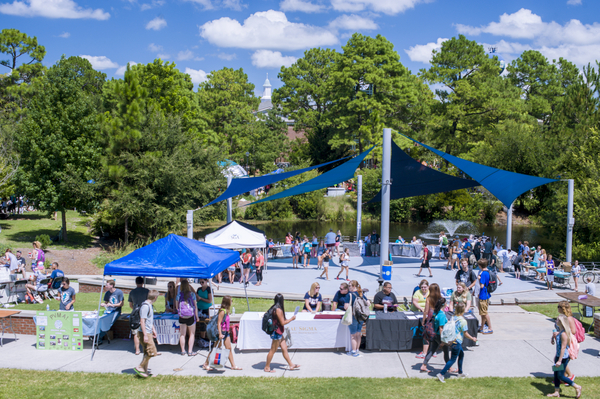 Our facilities are student-centered and offer a variety of resources, spaces and services to meet the needs of the campus community. Find what you need in one of our many retail stores, check out the dining options, stop by an administrative office, access an ATM, reserve a room for your next meeting, catch up with friends or work on a group project in our open lounges. We have what you are looking for in the heart of campus! See more about our history.